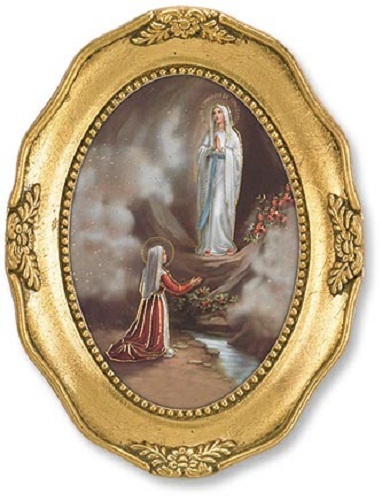 Gold foil embossed image of Our Lady of Lourdes and St. Bernadette in a rich gold leaf frame. Easel Back and Metal Hooks for Wall Mounting. Oval print under glass. 3.5" W x 4.5" H. Gift Box.